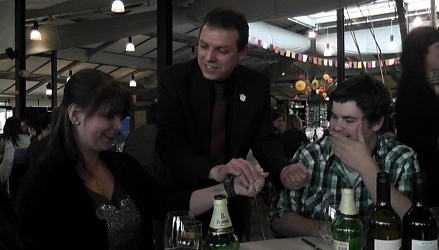 Russ Styler's combination of amazing sleight-of-hand magic and humour is one of the key factors that continues to make Russ such a popular choice of magician for events, weddings, special birthday party celebrations etc in Northampton and across the UK. Russ has performed his magic at countless hotels and venues over the years including top London Hotels - The Dorchester and Grosvenor House. 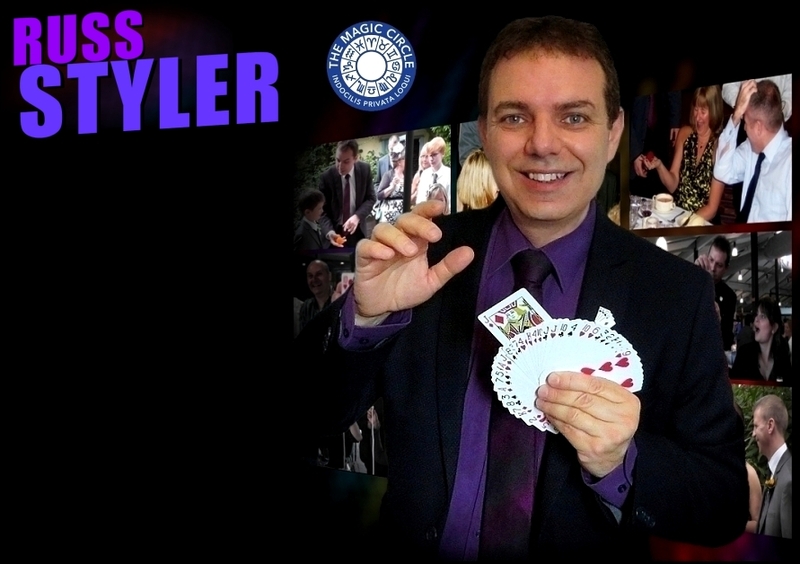 Russ has also worked summer seasons as close-up and cabaret magician in the UK and abroad and as a member of the Magic Circle, The International Brotherhood of magicians and Equity, Russ Styler is a name you can book with confidence! If you want to make your event or party in Northampton an even more magical and memorable occasion get in touch with Russ now for a no-obligation quote or further information. Prepare to be amazed! Close up magician / table magician or shows. Also hire for anniversraries, cocktail or garden parties - even at your own home! 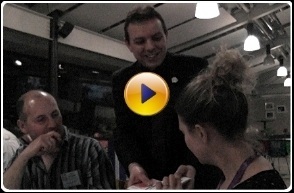 Restaurant magician, strolling, cabaret, uni summer balls etc. Contact Russ for information or cost / fees. Northants and all UK. 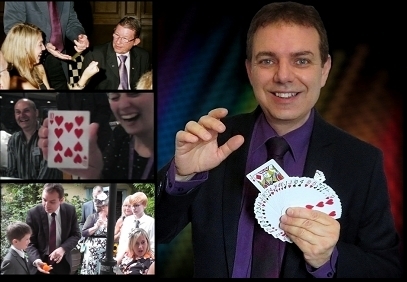 Close up magician / table magician or a show for parties, private or corporate. Also hire for anniversraries, cocktail or garden parties - even at your own home! Restaurant magician, strolling, cabaret, uni summer balls etc. Contact Russ for information or cost / fees. Northants and all UK.